Fill an ice cube tray with lemonade; place in the freezer overnight. Combine berries and lemonade in a blender. Process until smooth. 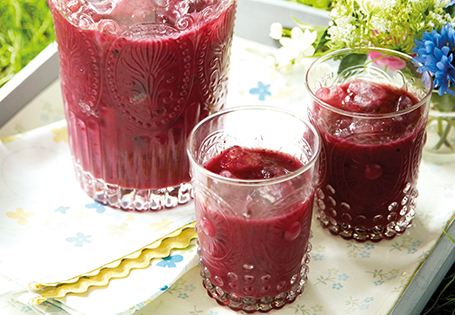 To serve, place lemonade ice cubes in a pitcher and add the berry mixture. TIP: For a smooth drink, strain the mixture through a sieve, before adding to the ice cubes.